By entering my name below, I agree to the following. 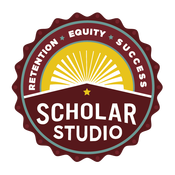 I understand that working with Daveena Tauber and ScholarStudio does not guarantee graduation, publication, specific grades, successful dissertation defense, admission to any program, or any other specific outcome. I understand that neither Daveena Tauber nor ScholarStudio make any such promises nor can they be can be held liable for such outcomes. 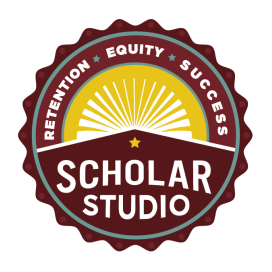 I understand that I engage Daveena Tauber and ScholarStudio on a fee-for-service basis and that no refunds are available should my project not meet my goals. 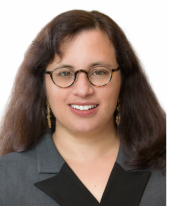 I understand that I am engaging Daveena Tauber and ScholarStudio in a consulting capacity and that all decisions about changes to my documents are mine. I understand that all work must be pre-paid. I will be asked to refresh my account when I have 1 hour left. I may refresh my account or not as I wish. I understand that work will begin when payment and my work (if relevant) have been received. I understand that editing/reading deadlines will only be honored if my work is received on the agreed-upon date. I understand that my payments and services used will be visible to me at all times on a shared Google spreadsheet. This will serve as my receipt for services. Show up regardless of whether I have done the work I aspired to do. If I have not done the work, we will look at why and likely, I will work on my task during our meeting. Give 24 hours notice to cancel or change an appointment in order to avoid being charged for that appointment. I understand that I have 1 complimentary appointment change (with 24 hours notice) within each package I purchase and that all further changes will incur a $20 administrative overhead fee. All packages are available for three months after the payment date. During that time you may send work and I will read it and respond on a first-come-first-served basis. If you require a rush job, I may be able to accommodate this for an extra fee depending on my work schedule. Unused hours will cannot be refunded, but will be donated to a "scholarship fund." I want our work together to serve your needs. I am not interested in selling you services that you don't end up using or that don't help you reach your goals. To that end, I offer consulting clients unparalleled flexibility about how they use the time they purchase with me. You are free to refresh your account or end services at the end of any package. In return for this flexibility, I ask that you be mindful of my need to keep my practice efficient and help me minimize administrative overhead by honoring your appointments and requesting changes only for health and family reasons. Thank you for your business and for inviting me to be part of your writing process. Sound good? Sign here and let's get to work.